See the video of one of my favorite petroglyphs - the Spiral Face. See my chance encounter with an Indian Shaman called "The Jaguar" who was returning from a Peyote ceremony. 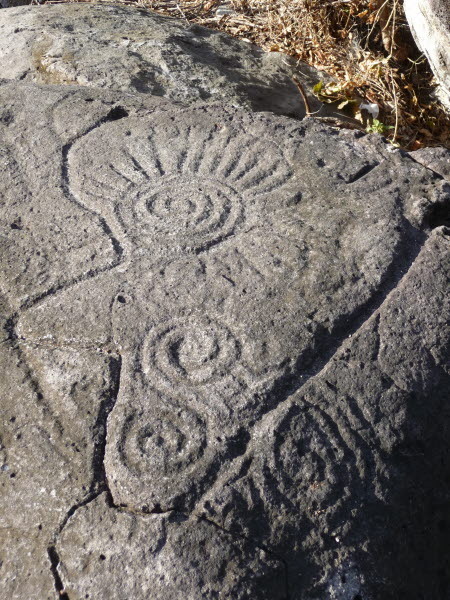 Visit the Luz Del Mundo petroglyph site (Part 1 of 2) located in Guayabitos, State of Nayarit, Mexico. Las Labradas Petroglyphs, an interesting site located on a beach thirty miles south of the city of Mazatlan, State of Sinaloa, Mexico.